Swiss architect Mario Botta's building for the San Francisco MoMA opened in 1995, becoming an instant architectural landmark. Now you can construct your own SFMOMA! 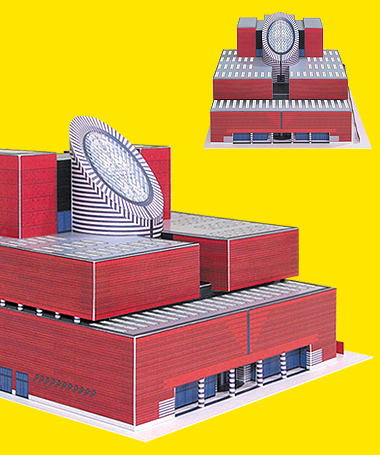 This wonderful scale model of Botta's famed design features die-cut cardboard parts and step-by-step instructions, which make assembly easy.